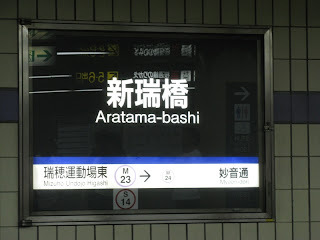 The World or Bust: "Gura wa Kachi" or "Aratamabashi, Suckas!" 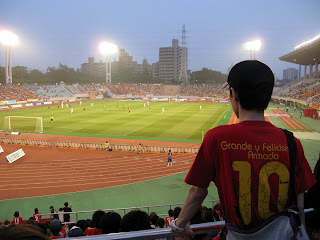 Finally, after more than 2 years, I made it to a Nagoya Grampus game. 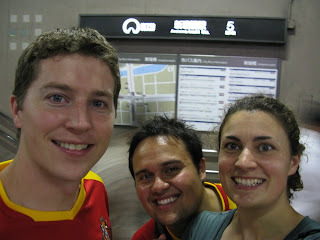 The Paul-tachi and I bought our tickets at the little machine at Family Mart and jumped on a train to Nagoya. 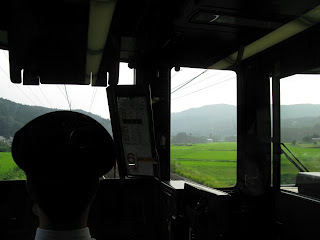 Apparently we caught the Special Holiday run, and the train was already full by the time we got on, so we had to stand the whole way. Paul picks his teeth, while Lil P makes use of his man wipes. 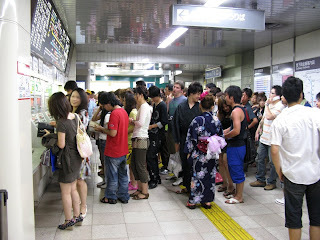 At Kanayama Station we had to change to the Meijo Line, but there was a surprise waiting for us: hundreds of people on their way to a festival. 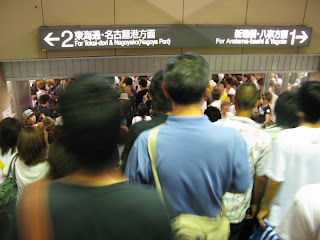 Fortunately, we found a back way around the line and although we had to squeeze onto the same platform, they were going in the opposite direction, so all was well. 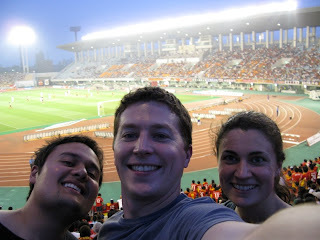 There was no seating by the time we got there, so we had to stand all game, but at least we didn't have to worry about losing our seats when we went to get refreshments and goods. Like new brides in a Chinese wedding, the Paultachi show off their new red threads. Part of why I was looking forward to this game, besides the fact that I haven't been to a soccer game in over three years, was for the stadium culture. 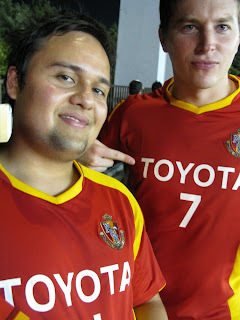 What do they sell at a Japanese soccer game, you might ask. 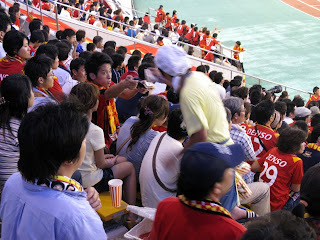 Well, at this particular stadium, food-wise we had the scrumptious delights of takoyaki, kushikatsu, tonkatsu sandwich, chicken karaage, hot dogs, popcorn, beer, pop (poured from a can into an open cup, no sizes), etc. "Goods"-wise were jerseys, keitai straps, towels, t-shirts, shitajikis, stuffed orca, etc. 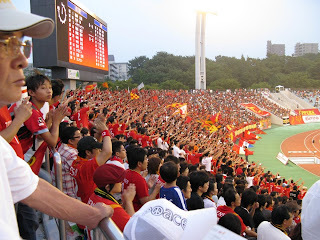 Grampus ended up winning by a whopping 4-0 against Omiya Ardija. Whose mascot is a squirrel. And as my brother can tell you, squirrels can be very daunting. They don't die, they multiply! 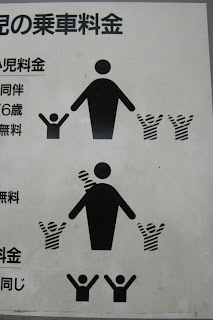 And apparently little ghost children can bud off passengers' backs as well. 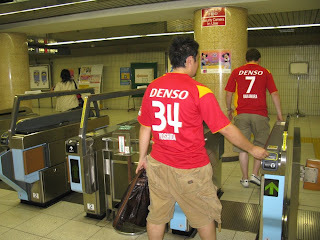 Yoshida and Nakamura have left the building. Editor's Note: A quick trip to Wikipedia has revealed that a grampus is indeed another name for an orca. Or killer whale. As if it needed a third name.